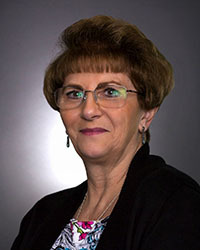 Ginger is a bookkeeper with over 26 years of experience, and over 22 years in public accounting. She has been a QuickBooks Pro Advisor and a Notary Public for over 18 years. Ginger’s experience includes preparing quarterly and annual payroll and sales tax returns for various manufacturing and personal service companies. Her experience also includes handling accounts payable and accounts receivable for various industries, maintaining multiple clients’ general ledgers, preparation of amortization schedules, and financial statements. Ginger is married with three sons and four grandsons, an avid reader who enjoys camping, visiting Disneyland and Disneyworld with her grandsons whenever possible, and spending time with her two miniature longhaired dachshunds.